Boscov’s has been providing customers with wide selections of merchandise, competitive prices and superior service for over 100 years. The company is committed to the communities it serves and has a long and distinguished history of civic and charitable activities. 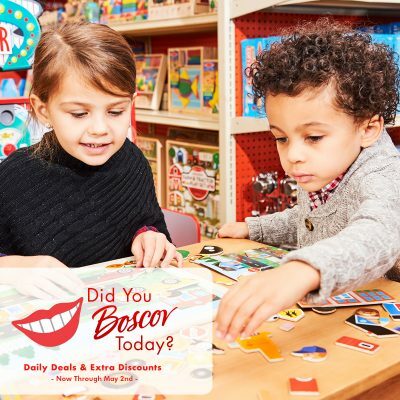 Boscov’s serves consumers across the country with a strong online shopping capability reinforcing Boscov’s position as the largest family owned independent department store chain in the nation. Join Boscov’s on Saturday, May 11th from 11am – 2pm as we partner with our local animal agencies to bring donations and awareness to their organizations. Fun for the entire family includes: volunteer & pet adoption information, pet care information, on-site animal angel trees, free kids crafts* and register to win prizes. Plus check out our pet department for treats, toys, gifts and more perfect for any pet or pet lover!